Fast, professional dry cleaning for clothing, jackets, wedding gowns and delicate fashions! Have your clothes laundered and folded. Keeps you looking sharp and saves you time! 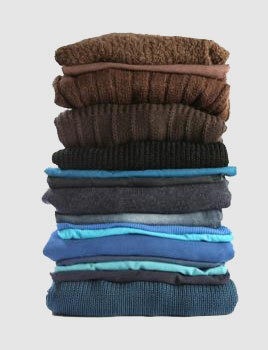 We will pick up, process and drop off your garments. Call us at (603) 494-4368 for details! We provide reliable, professional laundering & dry cleaning services in the Greater Manchester area. We offer competitive pricing, we are locally owned and operated, and our work is guaranteed! Stop by any of our convenient locations or choose our home pickup and delivery service. We can provide laundering services for your clothes too. With our Wash & Fold service you just drop off your laundry and let us wash and fold it for you. You have more time and your clothes will be professionally cleaned and neatly folded. Nothing could be easier! We provide Free Pick Up & Drop Off on a twice weekly schedule through our delivery business Pressed 4 Time. The convenience of pick up and delivery dry cleaning combined with superior customer service ensures your satisfaction. Manchester, Hooksett, Derry, Londonderry, Bedford, Amherst, Milford, Nashua, Salem, Windham, and Hudson. Lowell, Chelmsford, Westford, Littleton, and Tyngsboro.